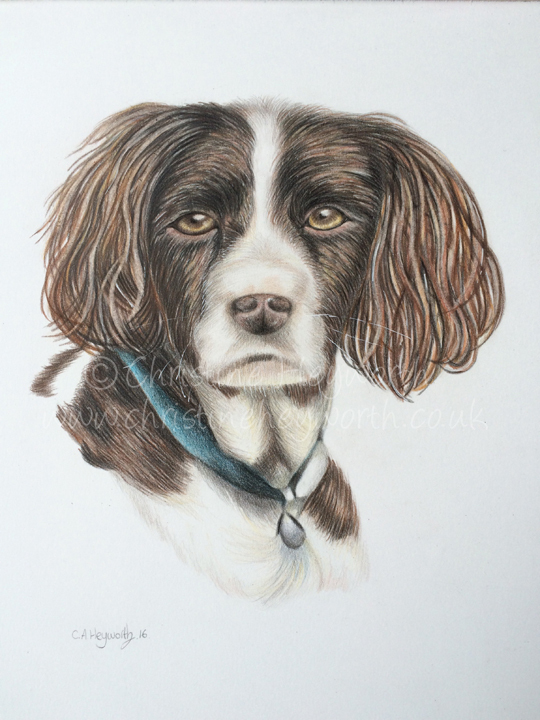 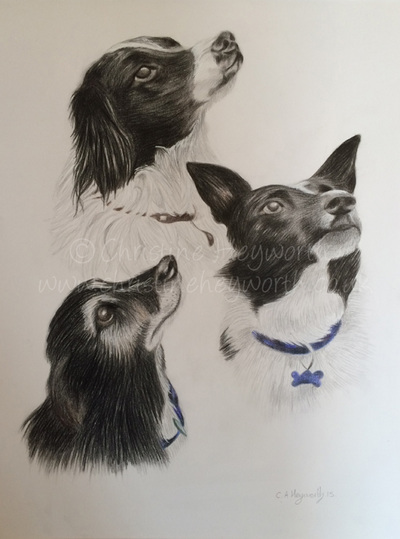 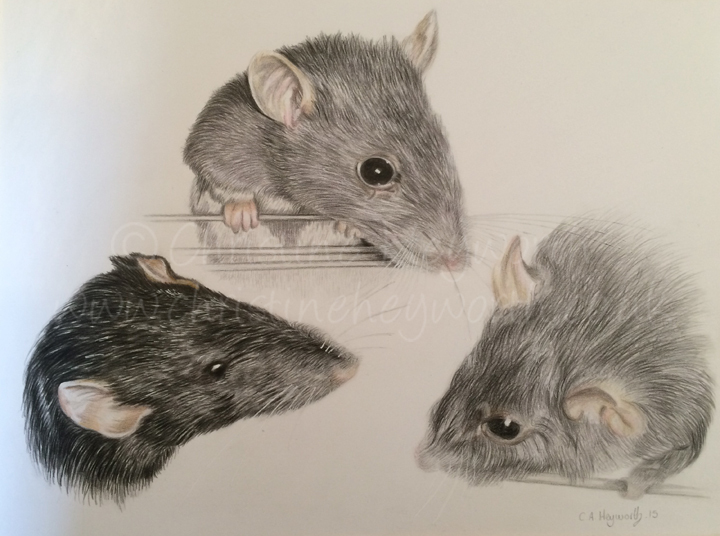 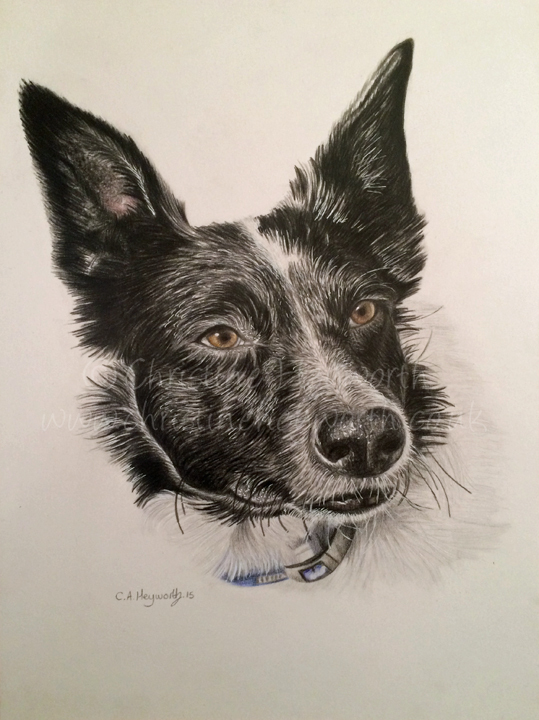 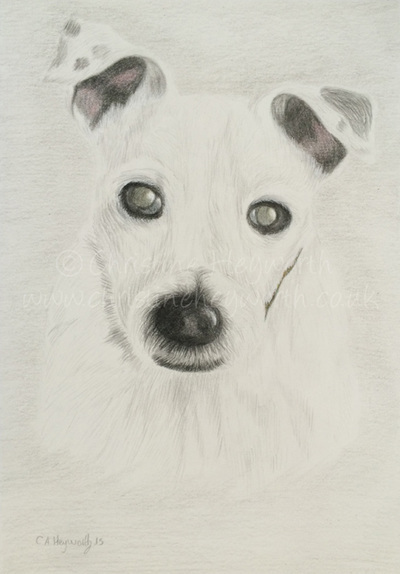 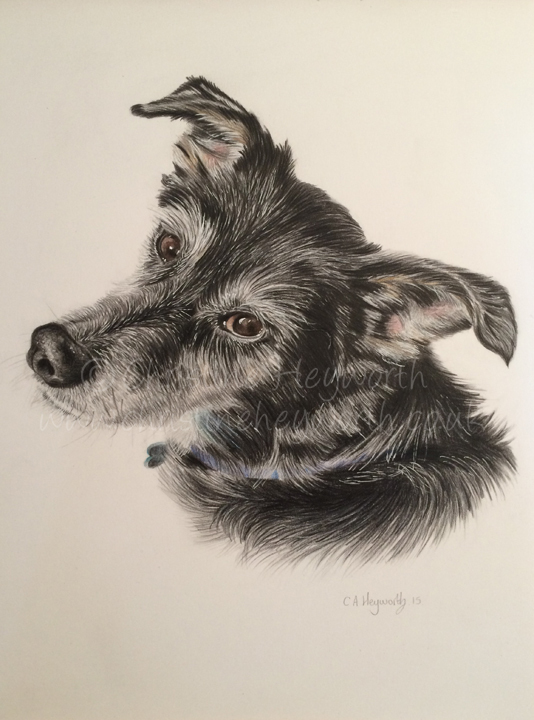 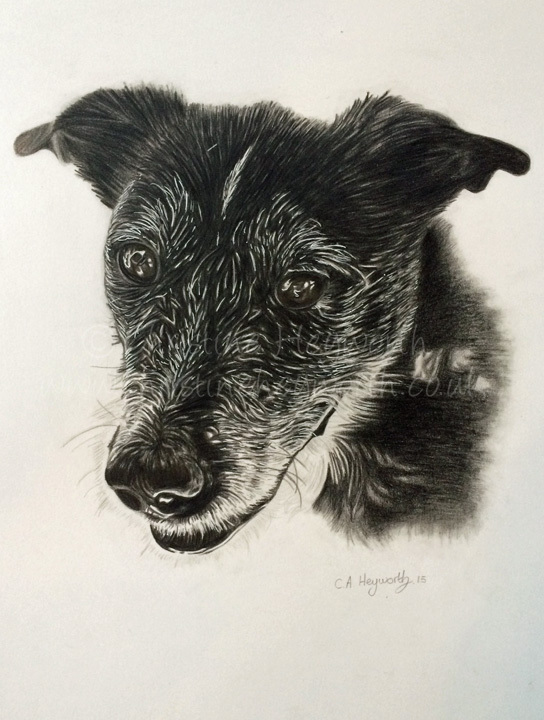 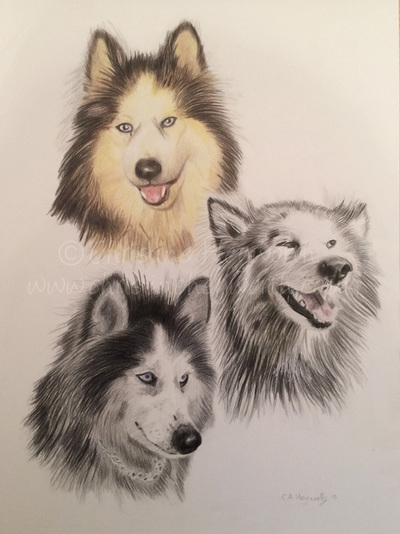 This is a gallery of commissioned pet portraits from photographs. 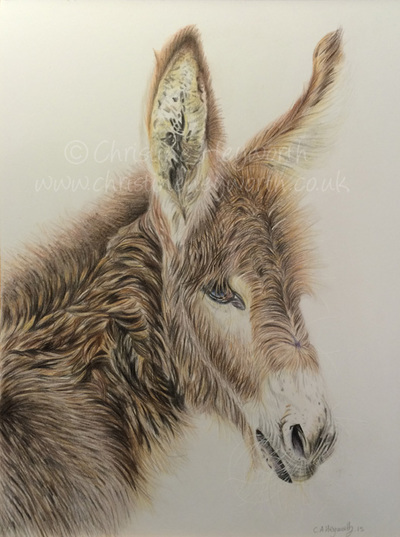 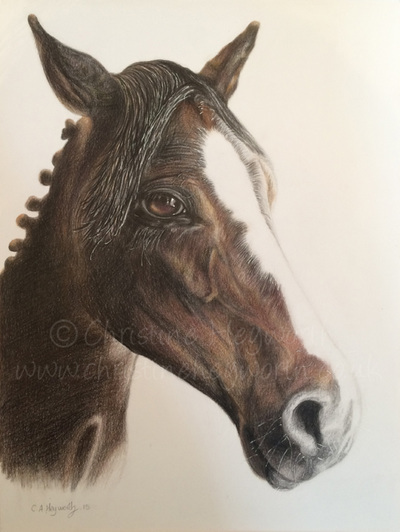 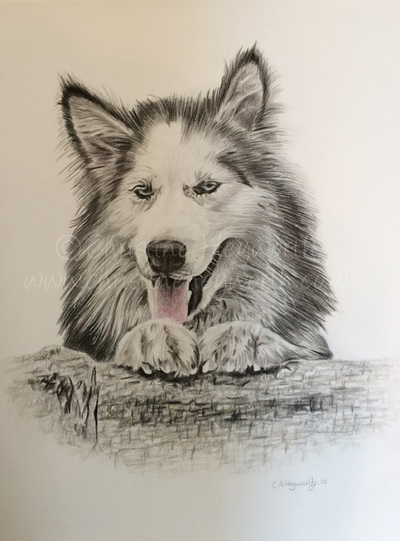 I like to use Faber-Castell Polychromos Pencils together with white gel pen for highlights to allow me to achieve the details and softness needed to capture your beloved pets or horses on paper. MILO, Acrylic on Canvas. 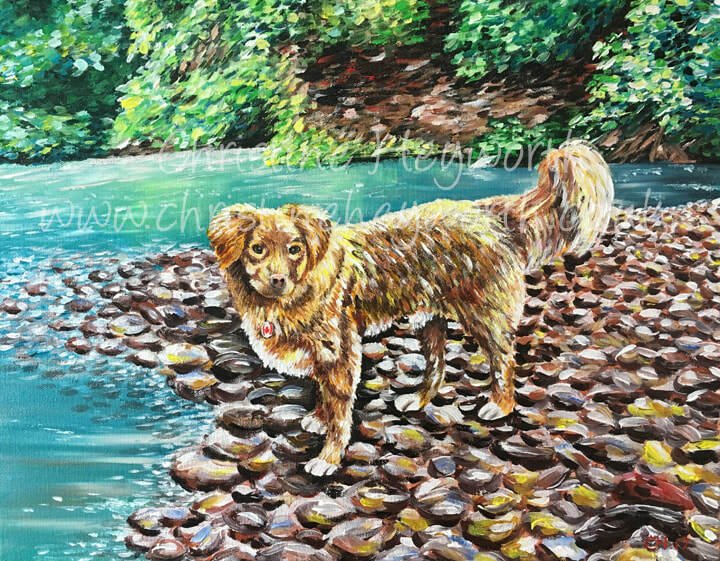 18" width x 14" length, (0.07" depth), 2017.